Rajan Johri is a Chartered Fellow of CIPD, UK. He holds post graduate qualifications in Anthropology, Organization Behaviour and Organization Development. He has successfully completed his research on flexible competency maturity modelling at IIT Delhi. He is a licensed Personal Profile & Competency Assessor of Thomas Systems UK, a NEBOSH (UK) Safety Practitioner and experiential learning professional certified by the Indian Society of Applied Behavioural Science (ISABS). Rajan was a key member of the team that founded the National HRD Network and served as the first President of the Vadodara chapter in Gujarat in 1986-87. His work portfolio is a powerful cross-cultural and multi domain mix spanning 30 years with leading international organizations in Europe, Asia-Pacific, Africa and the Middle East in IT, Oil & Gas, Healthcare, Retail and Automotive. 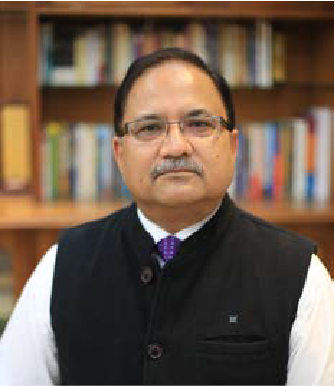 Early in his career he was a core founder’s team member of NIIT, the prime mover Company in India on Information Technology Education. He then moved to the Middle East with SSB Toyota and ARENCO till 1995. Later he served Ranbaxy Laboratories as Head of Culture Change, Continuous Improvement and Quality Management (CCQM) and later served as Director of Boston Scientific Corporation b.v The Netherlands. From 2003 to 2006 he assisted iCRM at Kuala Lumpur, Malaysia in customer service reorientation of Malaysia Panasonic. In 2007 he took the role of the Head of HR & LD for MB Group Oman and soon moved up as the Chief Executive of their new venture MB Informatics. In 2009 he led INMÄ Technologies in the Sultanate of Oman to execute technology upgrade and leadership development assignments. During this Middle East tenure, the University of Petroleum appointed him as their Academic Ambassador to Gulf Cooperation Council (GCC) Member Countries. From 2011 he was engaged with HCL Technologies as the Principal Consultant with their Organization Effectiveness Group. Leadership development, talent pipeline, career pathways and change management assignments constituted his portfolio. 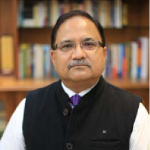 He also assisted in select external consulting assignments of HCL with the Government of India and served Shiv Nadar University as a Founding Director. Currently, he heads LeadẄynn, a service science based change and transformation consultancy established in alliance with the Swiss Institute of Service Science.